Many of you understand and are a part of the world I live in – lots of elected officials and high-powered leaders who have passion and opinions! Many times, I am asked for ideas to “fix” problems and make things better. Sometimes the “ask” has a tremendous sense of urgency and a “plea for help” for others. The search for information happens during regular conversation with leaders asking for input. Whatever you call it, it is a privilege to be given the opportunity to talk through issues, explain why a particular solution is best, and make sure that everyone’s buying in at the end of the discussion. I am sure that in your professional and daily life, you react to pleas for help and you ponder about solicitations for input! What is MOST important is that you position yourself to be asked and then respond thoughtfully. To be a part of the conversation is one of the highest compliments anyone can pay you; giving your time and ideas is a priceless gift. So know that we at LMA value your input and help, and consider it a privilege to be in YOUR orbit! Enjoy the read with the following tads, tidbits and tales! Are we looking a gift horse in the mouth? OIR says it is reviewing the recent 4thDCA ruling. Will this be a court ruling that OIR is eventually willing to utilize to change its regulatory direction to correct a marketplace condition that it publicly complains about? In the meantime, we will have yet another round of public meetings on a critical issue going into its seventh year and growing worse by the month. We are watching this closely and are hopeful that during the OIR Summiton October 24 & 25 we will hear more. Stay tuned! If the issue of Assignment of Benefits requires a statutory change by the Florida legislature, instead of a regulatory one, then it appears we need to add the issue of Bad Faith to the list of statutory changes, following a recent Florida Supreme Court ruling against an insurance company. Meanwhile, three of the four justices who voted in the majority against the company in this case face mandatory retirement in January – and Governor Scott last week begun the process of replacing them. In the case of Harvey v. GEICO, the Supreme Court reinstated a multi-million dollar bad-faith judgment against GEICO General Insurance in the handling of a death claim in an automobile accident. The policyholder, James Harvey, was successfully sued for wrongful death by the estate of the man he killed, with an $8.47 million award against him. Harvey, in turn, sued his insurer GEICO for bad faith, claiming the company failed to properly respond to requests for information from the deceased’s estate, despite the company issuing the estate a check for the $100,000 in policy limits. The lawsuit originally resulted in a $9.2 million judgment against GEICO that was overturned by the 4thDistrict Court of Appeal – and then appealed to the Supreme Court in a case that has garnered a lot of industry attention over the years. 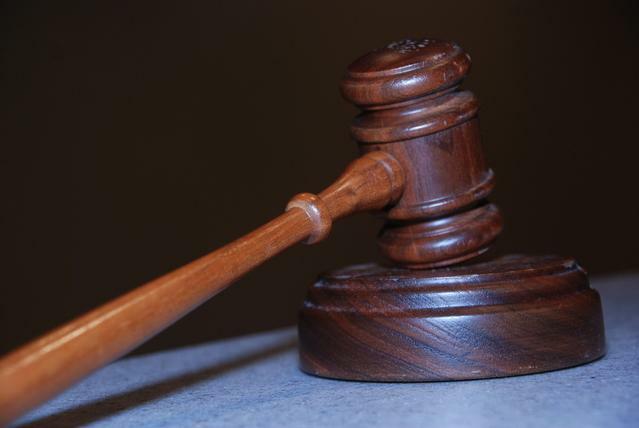 The ruling prompted a call by the Florida Justice Reform Institute for the state legislature to address Florida’s bad-faith laws. Justice Peggy Quince wrote for the 4-3 majority that included Justices Barbara Pariente, Fred Lewis, and Jorge Labarga. Quince, Pariente, and Lewis face mandatory retirement in January and last week Governor Scott started the process of replacing them. The Supreme Court Judicial Nominating Commission is tasked with soliciting and reviewing applications, conducting interviews, and making recommendations to the Governor on who to select as replacements. But will it be Governor Scott or his successor who will make the final selections? The League of Women Voters and Common Cause have filed suit challenging the Governor’s authority to do so. The ultimate selections could create a major ideological shift on the court, with implications on legal cases of interest to the insurance industry, including assignment of benefits, personal injury protection, workers’ compensation, and medical malpractice. The Commission has set an October 8 deadline for those interested in applying to serve. Information on how to apply can be found here. The relentless increase in property insurance claims lawsuits in Florida, together with increased demands from Hurricane Irma, have created an on-going shortage of insurance adjusters to handle claims. The board of Citizens Property Insurance Corporation is poised to vote this Wednesday on two significant changes: one would create two classifications of junior adjusters to provide more bodies and the other would double the commercial adjusters’ budget to stem an expected shortfall. The Citizens Claims Committee last week approved both plans for board consideration. It creates two new classifications of adjusters – junior adjusters – requiring just half the background years of experience previously required. These new classifications (Pre-Suit Mediation Adjuster I and Pre-Suit Appraisal Adjuster I) require just two years of adjusting experience, rather than four years, and will have a daily compensation rate of $525 per adjuster for non-catastrophe deployments. Committee staff described it as a matter of resources, especially during times of multiple catastrophes, such as occurred when Hurricanes Harvey, Irma, and Maria struck within four weeks of one another in 2017. A lot of candidates that vendors come back with don’t meet the four-year experience requirement but they do meet a t a wo year experience threshold, according to staff. Citizens’ Chief of Claims Jay Adams explained that the significant increase in litigation has put a tremendous increase on Citizens’ resources, “so this really creates a trainee class of folks that will help supplement the marketplace today and bring these folks along so they will eventually have four years of experience,” Adams said. Citizens’ commercial adjusting services has also suffered from a shortage of adjusters, just as the litigation unit has. The company had to increase its compensation rates to attract adjusters due to demands of Hurricane Harvey, at the same time that assignment volume increased. As a result, by the end of July, Citizens had spent almost $16.2 million of its $16.8 million commercial adjusting services contract. The Committee approved adding another $15 million to the contract budget to bridge expected gaps between now and next February when the contract ends. 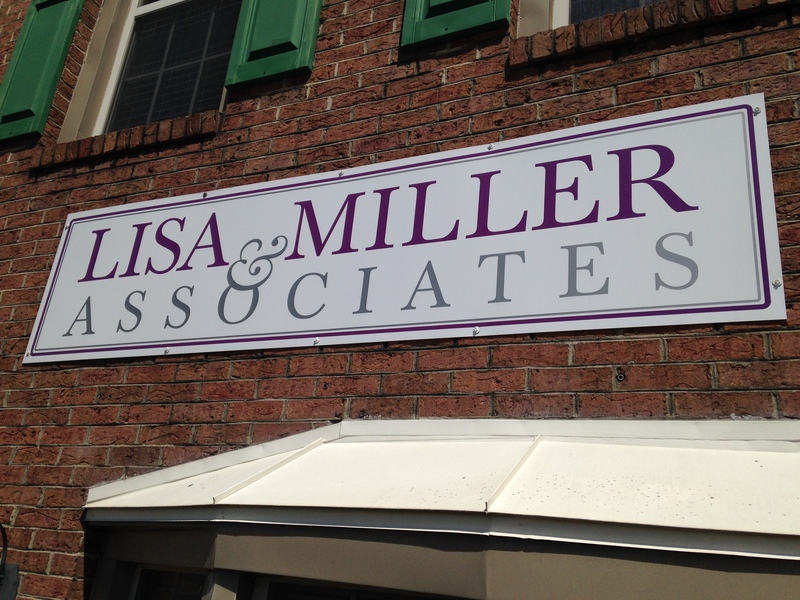 To further improve the quality of adjusters in the field, Lisa Miller and Associates is engaged with a group to create intensive training classes for adjusters to teach construction standards and other basics of construction and building codes. Often adjusters are experts at using estimating software but they might not have actual construction training, which can make a crucial difference in claims accuracy. If you’d like more information or to explore this further, please let us know. Those of us here in Florida certainly dodged the bullet of Hurricane Florence. Our hearts and prayers go out to the people of North and South Carolina who suffered the impact and are struggling to get their lives and homes back together. While Florida continues to provide aid and resources to help the recovery efforts in the Carolinas from this massive storm, some clear lessons about flooding are coming into focus in its aftermath – if we’re paying attention and heed. Sadly, the Carolinas are part of a national trend where only a small number of residents are covered by flood insurance that could help offset the tremendous costs of repair and rebuilding caused by Florence’s three feet of rain and flash floods. The latest FEMA stats reveal only 30% of American homeowners living in high-risk flood zones have federal flood insurance through the National Flood Insurance Program (NFIP). (The Florida figure is better, at 46%.) But as we know, you don’t have to be in an official flood zone on a map to suffer flooding! An estimated 250,000 homes in North Carolina alone have been impacted. 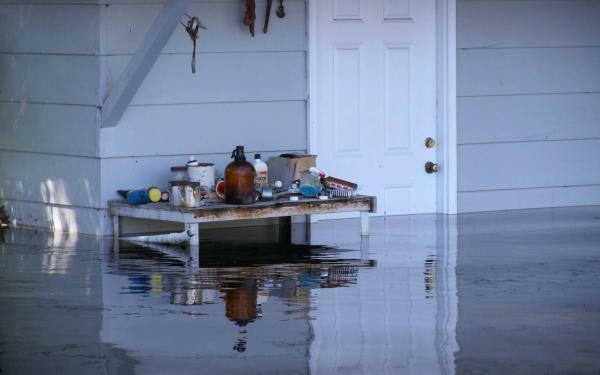 According to actuary John Rollins at Milliman, only 10%-20% of coastal homeowners in eastern North Carolina have NFIP insurance and only 1%-3% of inland homes have flood policies. John was quoted in USA Today as saying roughly 3% of homes in North Carolina and 8% in South Carolina are covered. The silver lining is that more Americans have gotten NFIP insurance over the past year. The Carolinas had modest gains (up 3.5% in North Carolina and 2.5% in South Carolina). But even with those increases, the number of homes covered is down 3% in North Carolina and 6% in South Carolina compared with five years ago. If history holds true, Florence’s flooding will drive more people to purchase flood protection in the future, but it will be short-lived. This is one of the biggest reasons we need to encourage a vibrant private flood insurance market in each state of the country. As I’ve advocated in published reports, we cannot rely on the NFIP alone to provide comprehensive and affordable flood insurance where it is needed the most. Florida’s private flood insurance laws could work as a model in other states, including the Carolinas. The National Conference of Insurance Legislators (NCOIL), a group of state lawmakers from around the nation, have begun examining how this could work. Please contact me if you’d like more information or want to participate in this ongoing effort. Meanwhile, we can’t overlook the power of mitigation and resiliency. FEMA estimates for every dollar spent in mitigation efforts, six dollars are saved in rebuilding costs. St. Johns County is a good example, where nearly $14 million of FEMA money has rolled in for mitigation projects from the aftermath of 2016’s Hurricane Matthew, with another $15 million in the pipeline from last fall’s Hurricane Irma. There’s more in this interesting St. Augustine Record articleon how that money will help mitigate future storm damage. Our readers are always so generous when disasters strike. If you’d like to help the people of the Carolinas, the AARP Foundation has created a relief fund for victims of Hurricane Florence and is matching, dollar for dollar, contributions up to a total of $500,000. Stronger than expected tourism revenue numbers are overcoming drags on Florida’s economy and should result in a $223 million surplus for the next state budget year here in Florida, which begins July 1. A new long-range financial forecast for the next three years warns that potential threats to tourism from red tide and blue-green algae blooms which are affecting 14 coastal counties could change the bright outlook. The annual forecast from the Florida Legislature’s Office of Economic and Demographic Research (EDR) noted Florida’s economic strengths: a low unemployment rate, higher than national average job growth rate, and a 1.45% annual population growth. The tourism sector outperformed previous estimates, accounting for nearly 13% of sales tax collections and helped offset the still recovering construction sector. Because Florida relies heavily on tourist dollars, “tourism-related revenue losses pose the greatest potential risk to the economic outlook” for Florida, according to the EDR analysis. Other risks noted include the impact of trade tariffs and the final settlement of accounts from Hurricane Irma’s financial impact. But the news that legislators will start their March 2019 session with a surplus – rather than a potential shortfall of $1 billion from last year’s forecast – was greeted with smiles by members of the Legislative Budget Commission, which recently adopted the report. Senate Budget Appropriations Chairman Rob Bradley (R-Fleming Island) credited the state’s strong economy and “conservative financial decisions” by the legislature, in published reports. Although the outlook is bright through next summer, the revenue estimates dim after that. The three-year forecast now projects a revenue shortfall in year two (2020-21) of $48 million and in year three (2021-22) of $457 million. Current state budget reserves sit at almost $3.5 billion. Florida’s healthy financial picture, coupled with its growing reputation as a low tax state, is at the center of a new report by the Florida Chamber Foundation on goals for keeping the state economy competitive for the next 10 years. The list of goals in the Foundation’s Florida 2030 reportwill sound familiar. They include lowering property insurance costs, keeping taxes low, and pursuing policies that encourage business development in areas of regulation, permitting, employment, and litigation. The report notes that Florida’s property insurance rates are the highest in the nation, with average homeowners premiums of $1,993. The report forecasts that Florida will need to adapt to shifting skills and the resulting training required to prepare the workforce for changes in global demands. The state will need to add 1.7 net new jobs by 2030 to keep up with the demands of population growth. The report included surveys from businesses across the state. 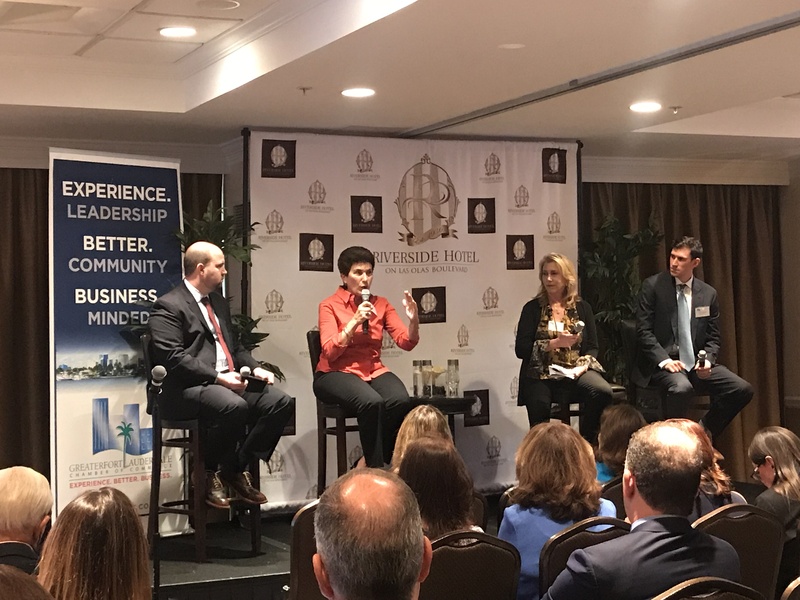 Among the results: 87% say they are optimistic about Florida’s future, but most say their own community is not positioned for competitiveness, prosperity, and sustainability. Amendment 2is one of the few single subject amendments on this November’s ballot. This proposal, approved by the Florida legislature, would help nonhomestead (commercial) property by limiting future property tax increases to 10% a year. A similar current cap expires January 1. The tax cap would apply to property taxes on nonhomestead real property, except for school district taxes. Local school district tax would continue to be based on a property’s full assessed value. This and previous legislatures designed it that way to preserve local school funding. The current 10% tax cap passed as a 2008 constitutional amendment, on the same ballot as one that increased the homestead exemption on home residences from $25,000 to $50,000. It was seen as a way to provide parity between homestead and nonhomestead property and prevent a tax shift from the former to the latter created by passage of the Save Our Homes amendment in 1992. Amendment 2 removes the January 1, 2019 repeal date contained in the 2008 amendment and makes the tax cap permanent. Failing to extend the cap, warns groups such as the Florida Realtors®, would result in all nonhomestead property in the state suddenly being assessed at full value, creating huge tax increases that would ripple through Florida’s economy. There is no organized opposition to this amendment. Meanwhile, we have a quick update on the status of the challenge of five other constitutional amendments on the ballot. The Florida Supreme Court is now reviewing the claim that the five amendments were “unconstitutionally bundled,” with multiple measures in each amendment. They include Amendment 6, which creates new rights for crime victims and new term limits on judges; Amendment 7, which changes University and State College systems’ governance, while providing scholarships to survivors of first responders and military members; Amendment 9, which prohibits both offshore drilling and vaping in indoor workplaces; Amendment 10, which makes a variety of changes to state and local government structure and operations; and Amendment 11, which makes changes to property rights, obsolete sections of the Constitution, and criminal statutes. A lower court judge removed them from the ballot earlier this month, prompting an appeal eventually to the Supreme Court. Celebrating a Decade and Passionate for Another! This issue of the LMA Newsletteris a very special one for yours truly. It was 10 years ago this coming Friday that I hung my shingle on the street and began representing some of the best businesses and organizations in the state of Florida. I opened my firm on the worst day for the stock market since the crash of 1930 and I’ve never looked back. I started out providing counseling on insurance regulation and markets. In the subsequent years, the firm grew to offering full government consulting and advocacy in Florida’s legislative and executive branches. In the past few years, my associates and I have added business development and public relations to our services. As the needs of our clients have grown, so too have we. Today, LMA’s reach extends outside of Florida. Our clients include Fortune 200 companies in the insurance, reinsurance, analytics, engineering, mitigation and real estate sectors. The firm represents and advises property insurance companies representing 25% of Florida’s six million personal and commercial residential policies. Our client-focused approach has withstood the test of time: we build long term relationships with our clients by making them a priority and achieving demonstrable results. It’s the old-fashioned motto “plan the work and work the plan” in action. It is a labor of love and a pure joy to work with so many talented people at firms that are truly helping build Florida into a more vibrant, productive, and safe state. It truly does come down to one word – Passion. “Pearls” of information that will help you raise the bar. I’ve tried to keep the promise of the first issue and am pleased to note that today’s newsletter contains a Citizens Insurance update and hopefully the news and encouragement you need to help you be your best. Thanks to all of you who have been with us on the journey of the last decade as clients, professional colleagues, and trusted friends. We especially appreciate the longstanding support and loyalty of our clients, who are our family. It continues to be our privilege to serve you and we will always be by your side. I wish you all the best…because you are the best!